The open secret in West Seattle’s Junction and Alki areas is that the Water Taxi provides free shuttles to connect riders to the dock for your quick cruise across Elliott Bay. Last year nearly 126,000 riders used the shuttles for commuting, sightseeing, and sometimes both! The Water Taxi provides two routes in West Seattle, operating daily while the Water Taxi is in service. Route #773 provides service from the West Seattle Junction to Seacrest dock. 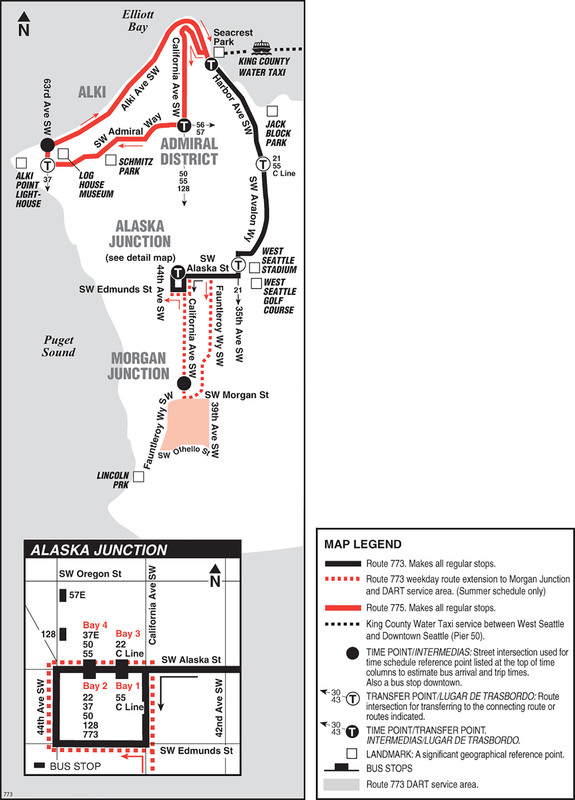 During the summer schedule, the shuttle expands its weekday route to include the Morgan Junction on midday runs. Riders on this route are able access shopping in the Junction area in addition to making connections to other bus routes heading through the area and to downtown, like RapidRide C Line. 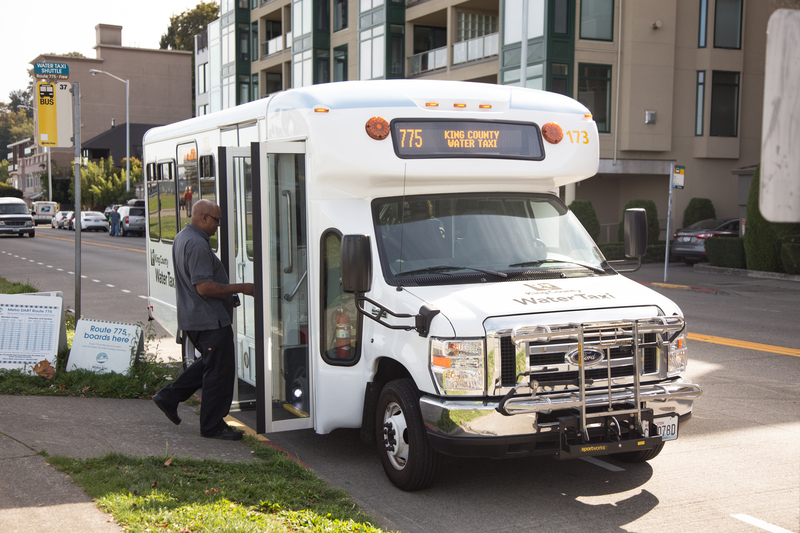 Route #775 operates along Alki Beach and is extremely popular through the summer averaging nearly 12,000 riders a month in June through August. Riders of this route enjoy everything Alki beach has to offer, including great restaurants and fantastic views. The shuttles are a service funded by the Water Taxi, operated through King County Metro under contract with Hopelink. One shuttle operates on each route during service. Each shuttle has room for 26 passengers (including 7 standing) and has the option for two wheelchairs and two bikes. September 29, 2016 in News, Operations, Our riders.